From Lynchburg Police: On March 13th, 2019, around 4:46 p.m., the Lynchburg Police Department Animal Control Unit responded to a residence in the 4500-block of Oakdale Drive for a welfare check on animals at the residence. During the course of their investigation, Animal Control officers obtained a search warrant for the property. Thirty-three dogs and twelve pet birds were subsequently seized from the property and were taken to the Lynchburg Humane Society. As a result of the investigation, 53-year-old Laura Wiegert of Lynchburg was charged with five counts of misdemeanor Animal Cruelty under Code of Virginia 3.2-6570. The Lynchburg Police Department would like to extend our gratitude to the Lynchburg Humane Society for its assistance in this case. From Campbell County: RUSTBURG, VA – On March 11, 2019 at 2:54 p.m., the Campbell County Sheriff’s Office responded to Benchmark Dr., located in Evington, VA 24550, in regards to a call for assistance needed for a gunshot victim. Upon arrival, deputies located the victim, 33 year old, Travis Lee Nunn, inside the residence, with an apparent gunshot wound; Emergency Medical Services (EMS) were notified and arrived on scene to treat the victim. The victim was transported to Lynchburg General Hospital, where he later succumbed to his injuries. This incident remains under investigation; however, appears to be isolated in nature. Anyone with information regarding this crime is asked to contact Campbell County Sheriff’s Office at (434) 332-9574, or submit your tip to Central Virginia Crime Stoppers by calling 1-888-798-5900, or at www.cvcrimestoppers.org. News release: Virginia State Police Trooper T.A. Hackenbracht is investigating a single-vehicle fatal crash in Nelson County. The crash occurred March 11, 2019 at 1:05 p.m. on Oak Ridge Road, less than a mile west of Diggs Mountain Road. A 1999 Acura Integra was traveling west on Oak Ridge Road when it ran off the right side of the highway. The driver over-corrected which caused the vehicle to cross back into the roadway and cross over the center line. The driver over corrected a second time, which caused the vehicle to run off the right side of the highway again. The vehicle then struck an embankment and a tree, spun around and overturned. The driver of the Acura, Zachary W. Debilzan, 22, of Amherst, Va., suffered minor injuries in the crash. A 16-year-old passenger and an 18-year-old female passenger from Shipman, Va. were both transported to UVA Medical Center for treatment. The 16-year-old Nelson County female succumbed to her injuries later Monday (March 11). The 18-year-old is still being treated for serious injuries. None of the vehicle’s three occupants was wearing a seat belt. Charges are pending, as the crash remains under investigation. News release: The Lynchburg Museum Foundation is pleased to announce a pledge of $25,000 from Bank of the James for its capital campaign to build a new Education Center at Point of Honor, Lynchburg’s historic mansion in Daniel’s Hill. The Education Center will add a 1,700 square foot addition to the Carriage House at Point of Honor to better serve its visitors. “This is a tremendous gift from Bank of the James, and we are very grateful for the boost it will give to our capital campaign,” said Ted Delaney, Director of the Lynchburg Museum System, which manages Point of Honor. The Education Center will provide space for school programs, community and club meetings, and rentals for special events. It will include an elevator and an at-grade pathway to provide access for those with physical limitations. The Center will add restrooms and amenities to serve the growing visitor traffic at Point of Honor which hosts a variety of major events throughout the year, including the annual fall festival Day at the Point and Easter Egg Roll and Hunt every spring. The Center will serve thousands of local students who visit the property each year on field trips. 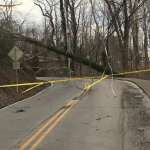 From Appalachian Power: The power is out for more than 50,000 Appalachian Power customers after damaging winds with peak gusts of 60 mph tore through parts of the service territory on Sunday. The winds were part of a strong weather system that affected multiple states and large population centers from Illinois to the east coast. The combination of high winds, along with moisture-saturated soil from prolonged rainfall, led to downed trees and debris, broken poles and cross arms. Crews began assessing the damage and restoring service on large known outages yesterday, but the high winds continuing into the evening slowed down the work due to safety concerns. 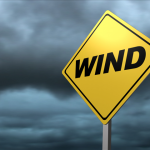 Workers cannot safely make repairs aloft from buckets in wind speeds in excess of 30 mph, and cannot safely work in forested areas where high wind gusts are still bringing down trees and limbs. Employees are continuing to assess damage today, where it is safe to do so, to determine the full impact on transmission and distribution lines. Outages are widespread across Appalachian Power’s service area. Currently the number of customers without service is about 26,000 in Virginia and 25,000 in West Virginia. From Appalachian Power: A strong weather system with prolonged damaging winds is affecting multiple states and large population centers from Illinois to the east coast. Much of Appalachian Power’s service area is experiencing sustained winds of 15 – 40 mph with frequent gusts of 40 – 55 mph. As of 5:45 pm Sunday, more than 74,000 Appalachian Power customers are currently without electric service due to damage from high winds, and additional outages are expected to occur as high winds continue to batter areas with moisture-saturated soil. High winds are forecast to continue through tonight and into tomorrow in parts of the company’s service area. Outages are widespread across Appalachian Power’s service area. Currently the number of customers without service is 2,300 in Tennessee, 40,000 in Virginia and 32,000 in West Virginia. Updated February 21 from the Bedford County Sheriff’s Office: This case was referred to the Bedford County Juvenile Court Service Unit for disposition. Due to the fact this case involves a juvenile the Bedford County Sheriff’s Office will have no further comments. Previous: Authorities in Bedford County have determined a reported attempted kidnapping was made-up. Investigators say after reviewing surveillance footage and talking with the alleged victim and her family they determined that the report of two men in a white van allegedly trying to kidnap an 11-year-old girl while riding her bike Friday on Hales Ford Road was fabricated. From Bedford County Sheriff’s Office on 02/15/19 — At 5:00 p.m. today, Bedford County 911 received a call from Hales Ford Road. The caller reported that two white males had attempted to kidnap his 11 year old daughter. The caller stated that his daughter was riding her bike when two men in a white two door car pulled up behind her. The passenger of the white car got out of the vehicle and grabbed the girl and her bike. He then threw her and her bike in the back seat of the car. The car then pulled away and traveled approximately 100 yards. The victim yelled that if they didn’t let her out of the vehicle she was calling the police on her cell phone. The men stopped the car pulled her and her bike out of the car and sped off. She then ran into the woods and called her father and told him what had happened. The victim describes the car as a white two door sedan with white hubcaps. The center of the hubcaps has a red stripe going down the center. The steering wheel of the car had a red cover on it. No further description. The driver of the car was a white male wearing blue jeans and a green shirt. She stated he appeared to be in his late 20’s or early 30’s. No further description. The passenger was also a white male and appeared to be in his late 20’s or early 30’s. He was wearing black gloves, blue jeans, a blue shirt and had blond hair. His hair was short on the sides and long on top. She also said one of his eyebrows appeared to be shaved off. No further description. Anyone with information on this crime or possible suspects are please asked to call the Bedford County Sheriff’s Office at 540-586-7827 or Central Virginia Crime Stoppers at 1-888-798-5900 or go online to http://cvcrimestoppers.org. Enter your tip online at http://p3tips.com or use the P3TIPS app on your mobile device. Crime Stopper callers remain anonymous and could receive a cash reward up to $1,000.00. 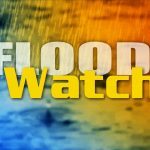 From the National Weather Service: Flood Watch for portions of North Carolina and Virginia, including the following areas — Amherst, Appomattox, Bedford, Botetourt, Buckingham, Campbell, Charlotte, Franklin, Halifax, Henry, Patrick, Pittsylvania, Roanoke, and Rockbridge. * Widespread rain, possibly moderate to heavy at times, with rainfall totals of 1 to 3 inches with locally higher amounts. Ground conditions will become saturated as rain persists, and increasing runoff will increase the threat for flooding of streams, tributaries, and possibly main rivers.